As Christians, communion is a very meaningful and sacred part of our relationship with Jesus. The symbolism we find in taking Holy Communion is something that we need to begin teaching (and showing) our children from the time they are young until the day we depart to be with the Lord. Today I am sharing with you 3 practical tips for teaching your children about communion. Teach them why we take Communion. In our home, we begin teaching our children about Communion the minute their sweet little hearts become curious. For each of our three children, this has been a different age. For one child the ripe age of curiosity was 2, for another it was 3, and for another, it was 5. To us, the age at which the teaching begins is not as important as the fact they are seeking to be closer to Jesus. There is nothing sweeter than our children wanting to know Christ more intimately on their own accord. And when he had given thanks, he broke it and said, “This is my body, which is for you; do this in remembrance of me.” In the same way, after supper he took the cup, saying, “This cup is the new covenant in my blood; do this, whenever you drink it, in remembrance of me.” For whenever you eat this bread and drink this cup, you proclaim the Lord’s death until he comes. First, we teach them that we take Communion to honor the sacrifice that Jesus made on the cross for the forgiveness of our sins. We believe this understanding is paramount to receiving the bread and the wine during Communion. Secondly, we teach them to look inside of their own heart before partaking in communion so that they are certain to hold no unforgiveness towards anyone including themselves. We encourage them to confess their sin and ask God to give them a clean heart before partaking in the bread and wine (grape juice). Lastly, we teach them that Communion is an intimate part of both worship and fellowship with Christ and His body of believers. 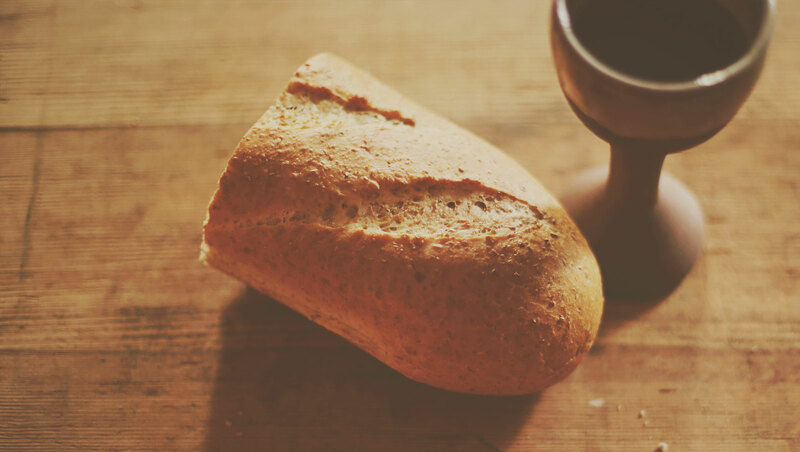 We see communion as an opportunity to stay intimately connected with Christ and the significance of His sacrifice on the Cross. Practice Communion together at home. In our household, in addition to taking Communion with our church body, we take communion together as a family for things that we are believing God for. In our 16 years of being parents, we have found that our children have learned a lot about Communion simply by watching my husband and I taking it together. The next steps in important family decisions and business decisions. It is our experience that when our children are taught to honor God and remember the sacrifice He made for us upon the cross that they are more likely to have the faith to take God at His Word. Both my husband and I noticed a huge increase in our faith when we came to the understanding of why we were actually takingCommunion. There is something so intimate about knowing what Christ did for you and having the honor to commemorate it with the body. When they are ready, let them be more involved. We allow our children to let us know when they are ready to become more involved in Communion. For instance, we invite them to talk with us about family goals and other areas that we are seeking God’s wisdom and favor in. It is amazing how much wisdom a child, who is ready, can bring to the Lord’s table. Helping set up Communion at home or church. Finding Scriptures to go along with our family Communion (things we are standing in faith for). Praying specifically over those who partake. Communion is such a precious and intimate part of a Christian’s life. By teaching and sharing your heart about this tender act of obedience and worship, we are giving our children the best insight they can possibly have on the subject. Nothing is sweeter than partaking in Communion as a family and watching God work in the heart of those you love most.